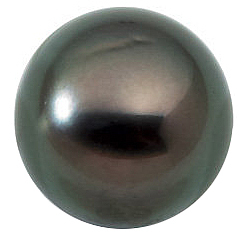 Description This Natural Grade A Medium Tahitan Cultured Pearl Displays an opalescent grey hue, shimmering with peacock green, and purple overtones. It is Is Clean with a Good Shape and Good Luster. 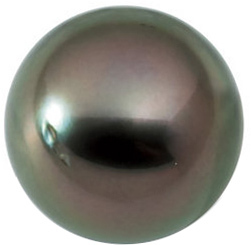 Tahitian Cultured Pearls have not undergone any treatments.